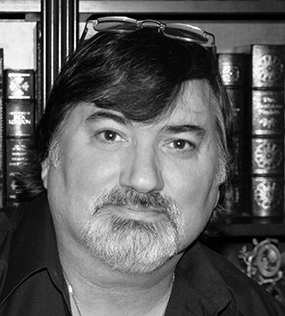 Tj O’Connor is a thriller and mystery author living outside Washington DC. His latest novel, The Consultant, is a 2018 Gold Medal Winner from the Military Writers Society of America and a current 2019 Finalist for the Foreword Reviews’ Indies Book of the Year for Thrillers. Tj began writing in grade school and continued to dabble through his career as a military federal agent with the Air Force OSI, where he was an anti-terrorism agent and investigator, and through his years as a senior executive and international security consultant. His publishing career began with Dying to Know, a paranormal mystery, in 2014. Thereafter, he published two sequels—Dying for the Past and Dying to Tell, and a standalone paranormal mystery, New Sins for Old Scores. Dying to Know won the 2015 Gold Medal from the Independent Publishers Book Awards (IPPY) for mysteries and it was a Finalist for both a 2015 Silver Falchion Award and the 2014 Foreword Reviews’ INDIEFAB Mystery Book of the Year. The Consultant is Tj’s first published thriller—his true passion—and he’s currently finishing Provocateur, a thriller that takes you on an action-packed ride from Manhattan to Havana, through Nuevo Laredo and the Mexican desert, and across the US. Aside from writing, Tj is an independent security consultant in Northern Virginia, specializing in anti-terrorism, investigations, and threat analysis—life experiences that drive his novels. With his former life as a government agent and years as a consultant, he has lived and worked around the world in places like Greece, Turkey, Italy, Germany, the United Kingdom, and throughout the Americas—among others. Tj was born in Worcester, Massachusetts, and was raised in New York’s Hudson Valley. His loves include writing, reading, cooking, Harley Davidson motorcycles, working for children’s charities, and hanging with his lab companions, Tobias and Annie Rose—and of course, his wife! They continue to live in Virginia surrounded by their Labs, adult children, and a growing brood of grandchildren.